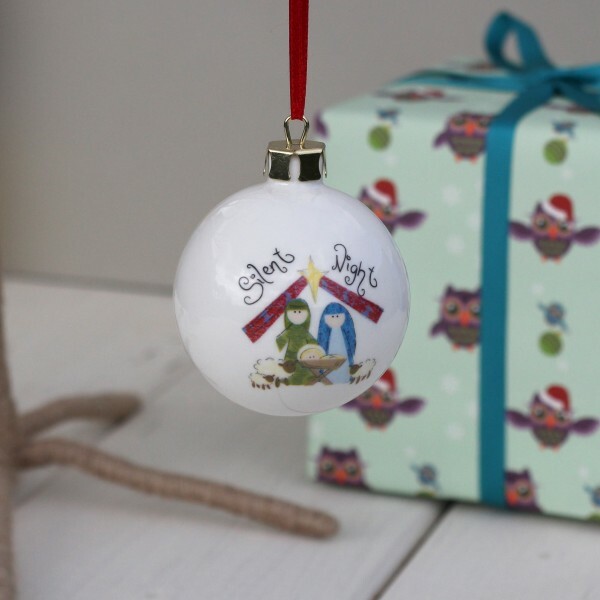 This personliased Silent Night bauble is the perfect stocking filler for children and grown ups alike. You can personliase any message over 4 lines on the reverse. PLEASE NOTE: There is a maximum of 18 characters, including spaces per line allowed.